For as much as I love the Mediterranean – and I really, really love the Mediterranean – the South of France was never high on my list of places to go. I’m not sure why – maybe partly because of its huge popularity as a holiday destination (although that didn’t and doesn’t deter me from the Greek isles), maybe partly because I hear such disparaging things about the French (from not only foreigners but also the French, which worried me). But when I was invited to a wedding near Aix-en-Provence – conveniently scheduled near a long holiday weekend – it seemed silly not to extend the trip beyond the wedding and give the area a decent little explore. But where to go in just a week? The Provence and Côte d’Azur region is rich with things to do and see, and just too spread out to fit it all in, unless you want to spend 99% of the week in your car, driving from one place to the next. Riviera glam or Provencal charm? A Carcassonne castle or Monegasque opulence? I wanted to see it all, but there simply wasn’t the time. Excitement grew over the thought of a road trip into Italy, with a couple nights in each stop: from Marseille to the French Riviera, to Portofino to Florence. But the flights weren’t working out – and it was a considerable amount of driving. 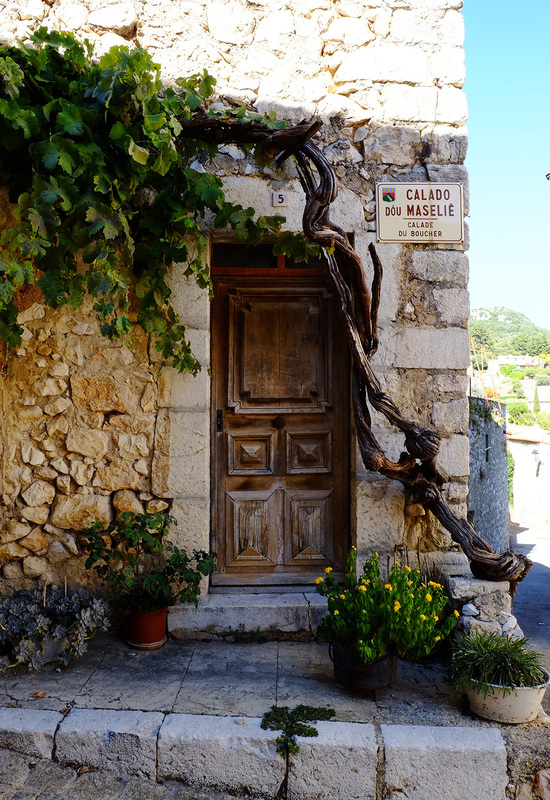 After much faffing about (not unlike the start of this blog post) we finally decided to keep ourselves fairly close to Marseille (our arrival and departure airport) and head east to explore the (slightly) inland villages and famed French Riviera. There was more than plenty to keep us busy in this relatively small area, we were quick to discover. And, as it became clear immediately upon arrival, poorly marked roads and a surprising amount of traffic would mean everything would take longer than we had originally planned for. We were relieved we hadn’t decided to travel further afield. If choosing a road trip, make sure you are plenty ready to pay for any unsuspecting toll roads (I’m looking at you, A8) lest you find yourself stuck at a €0.90 toll gate with credit and debit cards that aren’t accepted, a lone 10-Euro note as your smallest form of payment that also will not be accepted, and no human help to be found. Otherwise you may have to approach the car stuck behind you and proffer up your entire €10 note for a measly 0.90-1.00 Euro in return, only to be ignored as you hear the driver callously remark to her friend on the phone, “Je n’aime pas les Anglais” (“I do not like the English” – I, of course, am not English but the boyfriend, who was one of the players in this unfortunate scene and the only one of the two of us who can speak some French, is). A charming start to our France holiday. It didn’t take long for the region’s genuine charm to show itself, however. After turning east from Aix-en-Provence, we took a slightly longer (and blissfully toll-free) route to Seillans. The countryside hugging the road was breathtaking. A never-ending sea of lush vineyards (is there anything more beautiful?) would make way for one unexpected, and always pretty, little village after another. 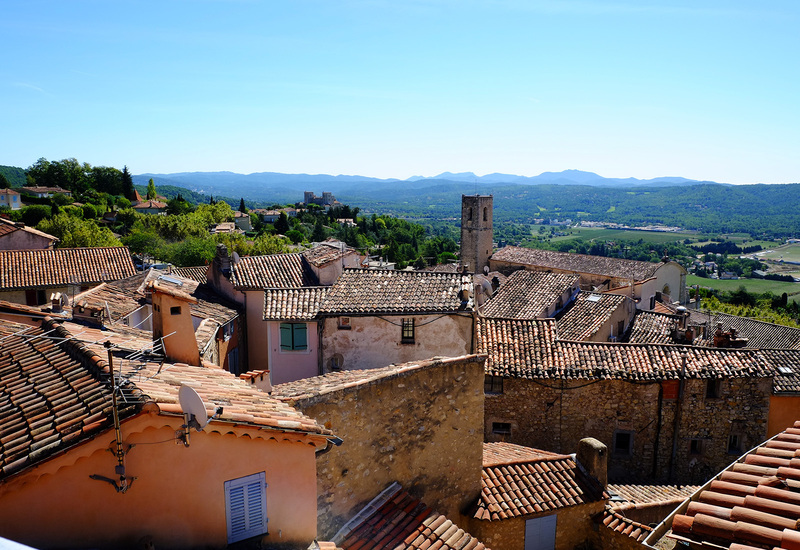 Anywhere else, each of these villages or towns might be an attraction on their own, but in the Provence-Alpes-Côte d’Azur region, they’re the norm. “Lucky bastards,” we said of the residents as we stopped and strolled through the first random village the road took us to. And repeatedly uttered again throughout the entirety of the trip. It’s a beautiful place to live. Our one planned stop on the way to Seillans was Sillans-la-Cascade, a medieval village near – as the name suggests – a waterfall. Probably one of the smallest villages we visited, it didn’t take long to wander through its narrow lanes surrounded by ivy-clad stone buildings. Thinking we could also get lunch here, we found only disappointment. While there were three restaurants, none of them – despite the fact they appeared to have ample vacant seats – had a table to spare for us. Curious, but not wishing to make a scene we hungrily moved on. Not long after, we wound up mountain roads to arrive in Seillans. The ville perché (village perched on a hill) is full of wonderful views of the valleys beneath, always marked with clumps of red-roofed homes and a spread of Mediterranean greenery. 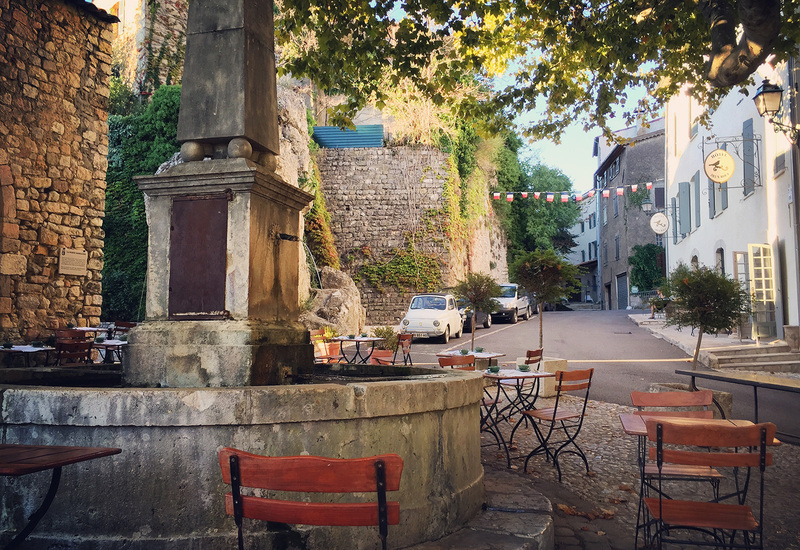 Inside the village, steep, vine-dripped lanes lead to tree-shaded squares quiet but for the sound of bubbling fountains and pleasant conversation. It’s a deserving member of Les Plus Beaux Villages de France (the most beautiful villages of France), a title awarded to the country’s villages that are rural, harboring small populations and exceptional heritage buildings. 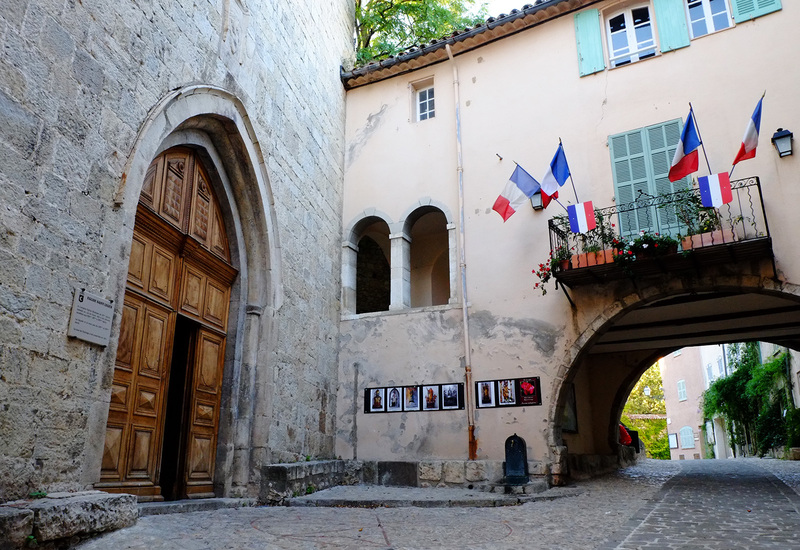 Dating as far back as 500 BC with a well-preserved medieval center and 17th-century buildings, Seillans is an excellent example. One of those lovely 17th-century buildings is Hôtel des Deux Rocs, where we based ourselves for a three-night stay in the area. The former mansion’s quirks are obvious upon entering. 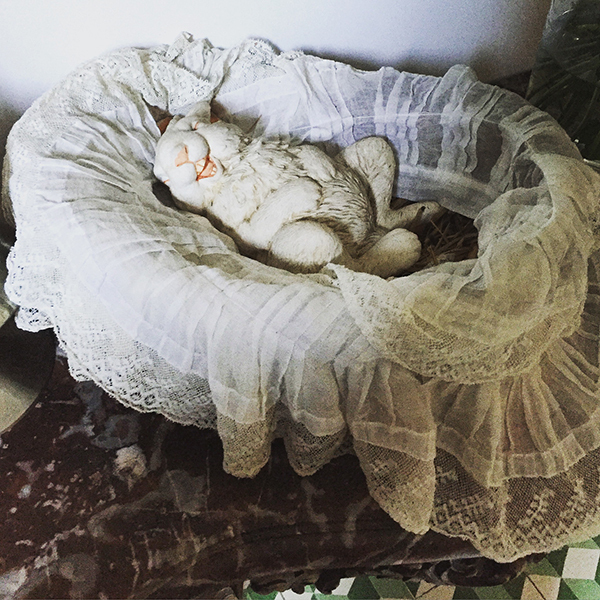 Whimsical bric-a-brac occupies tables and curios (my bizarre favorite: a joyful ceramic bunny resting belly-up in a ruffled basket) and guest rooms are individually designed with traditional and antique décor and furnishings, and named after local fragrant flowers (mine was Géranium). 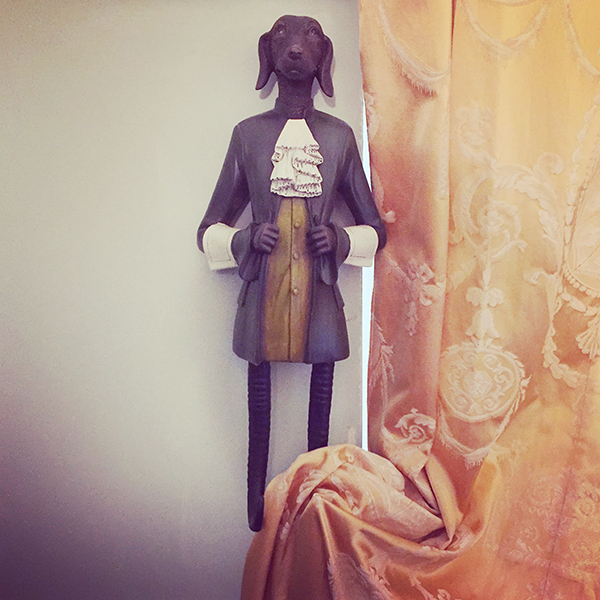 The hotel could moonlight as a museum, and I never found myself at a loss for interesting things to look at (another favorite: dapper dog curtain holders in my room). While it doesn’t truly moonlight as a museum, it does double as a fantastic restaurant. Our expectations were high, partly thanks to the simple, but exceptional, breakfast we’d been served from the home’s kitchen each morning. Fresh ham, fresh butter, fresh jams, fresh cheeses, light-as-air just-made croissants – I’m not really a breakfast person, but I sure was there. Served in the adjacent square (complete with stunning views over the valleys, a big tree for shade and a gurgling fountain), in every way it was an experience worth savoring. Evenings were getting a bit chilly (leaves were just beginning to tint yellow and fall; it was a lovely time of year to road trip around the area) so dinner was served inside the hotel’s cozy (and I mean that genuinely, not in a the-rooms-were-small-but-I-need-to-say-that-in-a-non-offensive-way way) dining room – decorated with delectably depicted paintings of food. Our gregarious server helped us choose a wine (a local rosé, pleasantly fruity but not over-sweet from Saint Tropez) and dishes – and I was tickled to discover he had some familiarity with Pittsburgh (“Ah! The Penguins!”) after a stint living in DC for a number of years. Intent on the local delicacies, I started with petit pots of escargots (I only had them once before, in Dubai, and they didn’t leave much of an impression on me in any way). Served in a variety of minuscule bowls, the snails were tender, flavorful in the sauces they had clearly long been simmering with – a zesty basil pesto in half the servings, and a rich tomato sauce in the remaining. Unable to refuse any long-cooked meat, the seven-hour roasted lamb shank was my obvious choice. The meat fell off the bone without much prodding, and made a swift journey from plate to mouth. Long-since full, anyway I forced a molten chocolate gateau down for dessert, because gluttony. Beautiful though Seillans is, there really isn’t much to do there (at least not during our off-season visit). So, we spent our days setting off into the surrounding countryside, looking out for more villes perché to explore. Nearby, the trio of Fayence, Tourettes and Mons make for a nice day trip. Fayence and Tourettes occupy opposite sides of the same hillside, so it’s easy to park in one and walk to the other, along a maybe-10-minute road that connects the two. Fayence is certainly the larger, and filled with little cafés in buildings of stone and pastel yellows and peach, a bell tower overlooking the surrounding countryside (with a helpful painted wall that depicts the names of the buildings and villages on view) and courts filled (I do mean filled) with locals playing thrilling(?) rounds of boules (or pétanque). A game that I’ve just now learned originated in the South of France in the early 1900s. Neighboring Tourettes, similar in style, is notable for its outdoor art gallery: brightly colored canvases hang on buildings while small murals cover other walls. Driving higher into the mountain, Mons completes the trio. By far the most tranquil of any village we visited during the holiday, people were few and far between, giving the classic medieval lookout a slightly ghost-town-like feel (without the creepy factor). From a café perched on the village’s edge, it’s worth sipping yet another glass of rosé (when in the South of France…) while taking in the view that stretches over thick forests to the Riviera’s azure coast. Rounding up our inland excursion was a day hiking the Gorges du Verdon in Alpes-de-Haute-Provence. Also home to villages under Les Plus Beaux Villages de France umbrella, if you’re really gung-ho on a village-vacay, I’m sure they’re worth checking out, but we decided to give them a pass and focus on the nature. 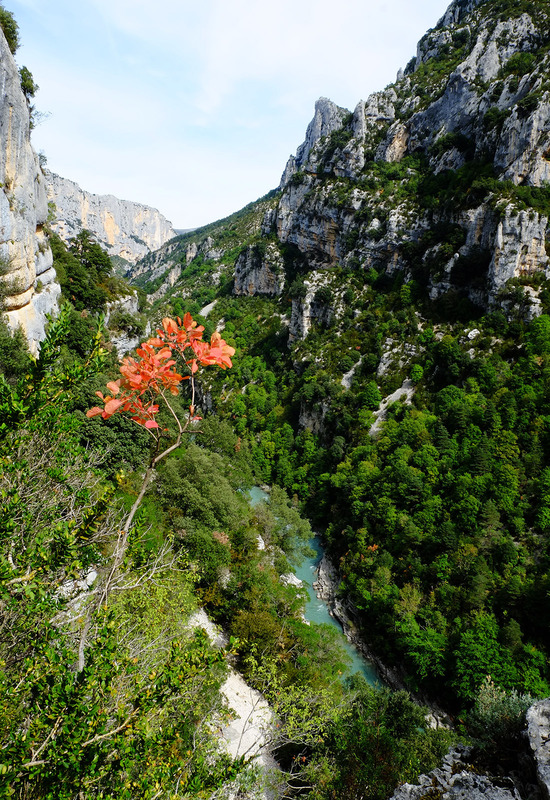 Referred to as France’s Grand Canyon, the gorge is around 15 miles long, and as much as 2,300-feet deep, carved by the Verdon River, colored a brilliant green that lends the area its verdant name. There are a number of hikes in the area (you could probably spend a week here hiking, if you wished), but we set off on a day hike that hugged the river. Relatively easy (there are a few steep bits, a couple areas where you have to cling to railings, and one stretch of stumbling through mine shafts that run a total of around 2,000-feet long – not lit, and sometimes entirely without natural light, so bring a flashlight), it’s a good choice for some show-stopping natural vistas and an all-around pleasant day surrounded by pristine southern-European nature. Stopping at one of these incredible views, we pulled out our lunch collected from a local market. In true “lucky bastards” French style, every bit was an outstanding treat: ham with local herbs was some of the best pork I ever had; a soft cheese from the Pyrenees was rich and sinfully creamy; and the baguette predictably soft and buttery. At this point, around 3.5 hours into the trail, we turned back to return to the car. You can hike the entire gorge trail in about six hours, however we were unsure of the transport situation during off season, and that we’d be able to easily find a way back to our car after emerging on the other side of the canyon. And this looks like a good point to end this entry as well, before I venture into epic-tome territory. Next, I’ll head down to the French Riviera and take in Cannes, Monte Carlo, Cassis and – because why not – a few more villages. Thanks for this entry. I too am from pittsburgh and aix/the south of france sparked my love for travel way back in 2007, so I can really relate. Amazing! 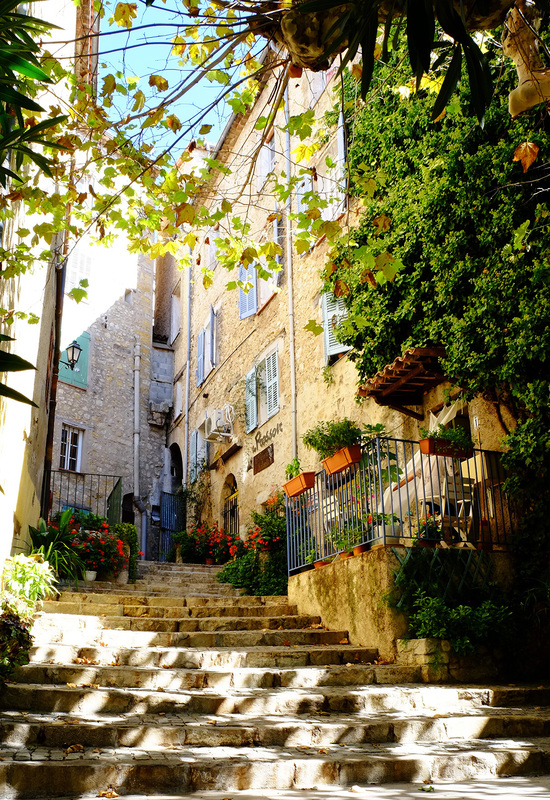 I’m not surprised – the South of France is truly stunning! Great to hear from someone else from the Burgh, too!